In my collection of Venison recipes, I decided to try a pot pie with the leftovers. The venison pot pie was a huge hit. The crust, filling, and ease of this recipe will win your hunter's heart for sure. I have a great collection of Venison recipe links you can try below. The pot pie is such a delicious addition. 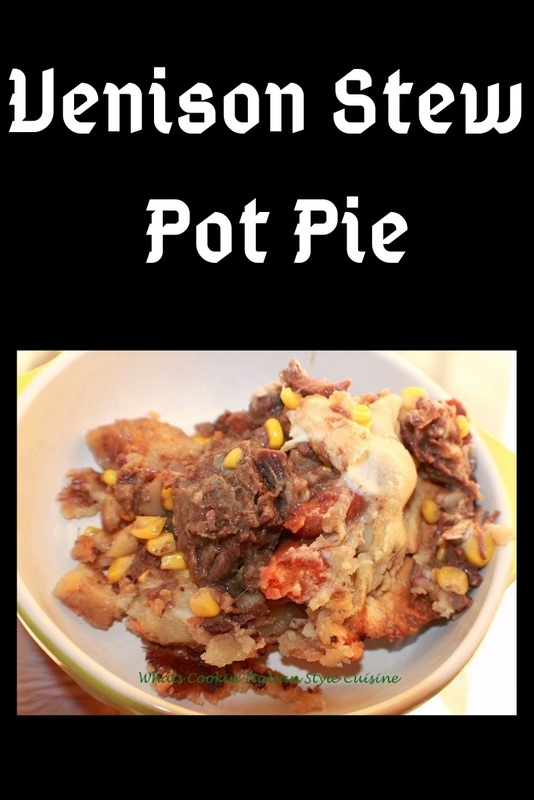 It was made with a wonderful old fashioned stew recipe and a hunter would swoon over this delicious meal along with your pot pie fans! I am not a big fan of leftovers unless they are repurposed. 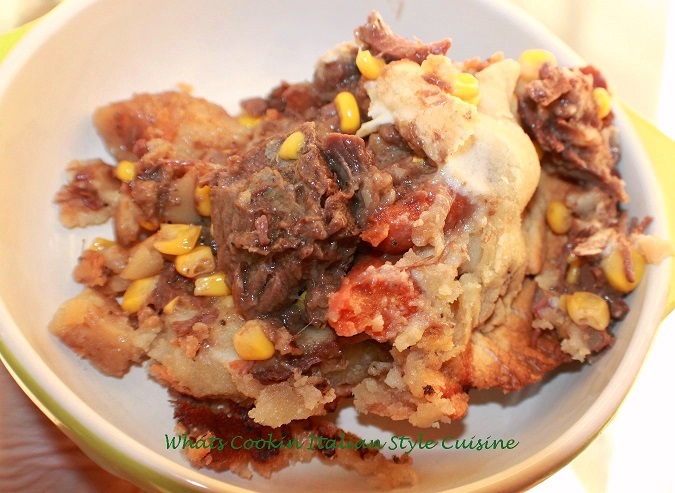 This venison stew tastes is so delicious in this pot pie and the whole family loved it. The venison was so tender and being it was leftover stew, the ease of this recipe was fantastic! Everything in it makes the perfect pot pie using leftovers and the total comforting meal. I love using venison for so many meals. I have some great recipes below in link for you to try. One of our favorite side dishes is Venison Fried Rice using leftover white rice and sauteed cubed venison that was leftover. Venison never goes to waste, my husband is a hunter and big fan! Another favorite recipe is Venison Chili, it's so good and done in a slow cooker! My pie crust recipe is simple and flaky, you may choose to cut time by using store-bought pie crust instead. The venison stew is easy to make, perfect for this filling and the pie is juicy and the meat is fork tender. I always dot the crust with butter and it makes it have a delicious brown sheen to the top along with that buttery taste. Use a deep casserole dish for your pot pie and shape, just roll the crust to fit your vessel. 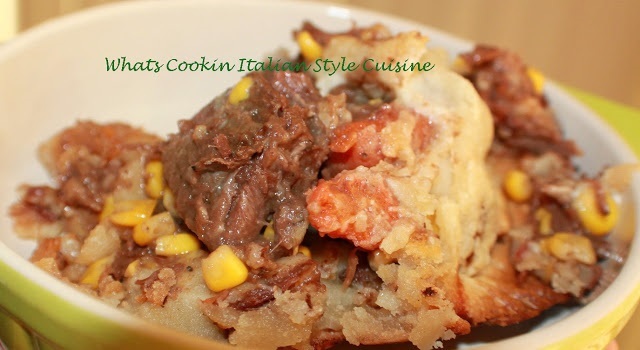 This is a comforting stew for those who love Venison meat and hunters. This pot pie is made with using leftover stew, pie crust to make the perfect comfort food and repurposing leftovers! 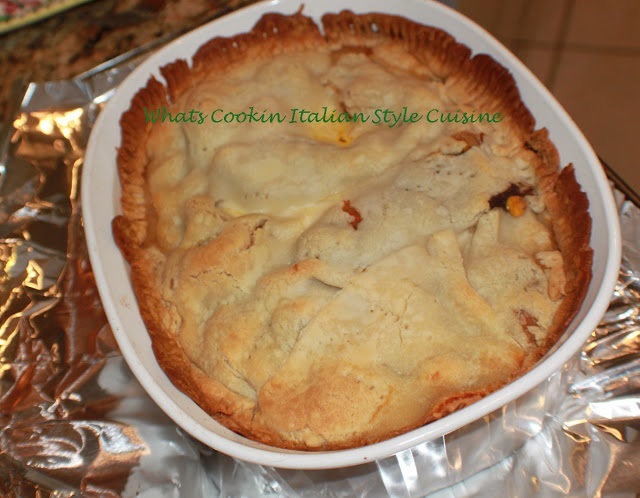 Use an oil sprayed casserole deep pan lined with pie crust, greased well. Add the leftover stew into the crust. Top with another rolled out crust and seal by crimping edges with a fork. Poke holes in the top of the dough. Brush with melted butter. Bake until browned on top at 350 degrees for around 35 to 40 minutes until the top is nicely browned. Don't Miss Trying My Stew Recipe!